The Napa Valley Wine Train respects each individual user’s right to privacy. The Napa Valley Wine Train does not collect personal identifying information unless such information is specifically and knowingly provided from users during contests, surveys, sweepstakes, site registration, or use of public areas, such as a forum. From time to time, we share aggregated site traffic information with our partners and advertisers. As part of our affiliate program, we track individual user movement that is not personally identifiable. We do this to track the effectiveness of our affiliate program. This data is not linked to any personally identifiable information. Users may occasionally receive information on products, services, special deals, and newsletters (ours or a third party’s) if those users have opted to receive such communication. Out of respect for the privacy of our users, we only send these types of communications if the user “opts-in”. (Please see the Choice: Opt-In and Opt-Out section.) Users of our site are always notified when their information is being collected by any outside parties (e.g., if we implement Third Party Mailing Lists). We do this so our users can make an informed choice as to whether or not they should proceed with services that require an outside party. The Napa Valley Wine Train is not responsible for any actions or policies of such outside parties. Once subscribed, users who no longer wish to receive our newsletter and promotional communications may opt-out of (i.e., discontinue receiving) these communications by contacting us at [email protected]. We also offer opt-out mechanisms in the text of each email we send, and the user may contact us at the street address at the top of this page to opt-out. If a user’s personally identifiable information changes (such as zip code, phone, email or postal address), or if a user no longer desires our service, we provide a way to correct, update or delete/deactivate users’ personally identifiable information. This can usually be done by contacting us at [email protected]. For users who no longer wish to receive our partners’ newsletters and promotional communications, they may contact those companies directly. Please understand that once you have chosen to receive these third party mailing lists the use of your information will be governed by such parties’ privacy practices. Though we make every effort to preserve user privacy, we may need to disclose personal information when required by law if we have a good-faith belief that such action is necessary to comply with a judicial proceeding, a court order, or a legal process served on our Web site. The Napa Valley Wine Train uses reasonable precautions to keep the personal information disclosed to us secure. However, the Napa Valley Wine Train is not responsible for any breach of security. If a Napa Valley Wine Train website user knowingly provides personal information, such as a name or email address, in a forum or other public service, that user should be aware that the information provided can be collected and used by third parties. Such activities are beyond the control of the Napa Valley Wine Train however, at registration a user can choose whether an email is disclosed in the profile/post of the forum user. If a user elects to use our referral service for informing a friend about our site, we ask them for the friend’s name and email address. 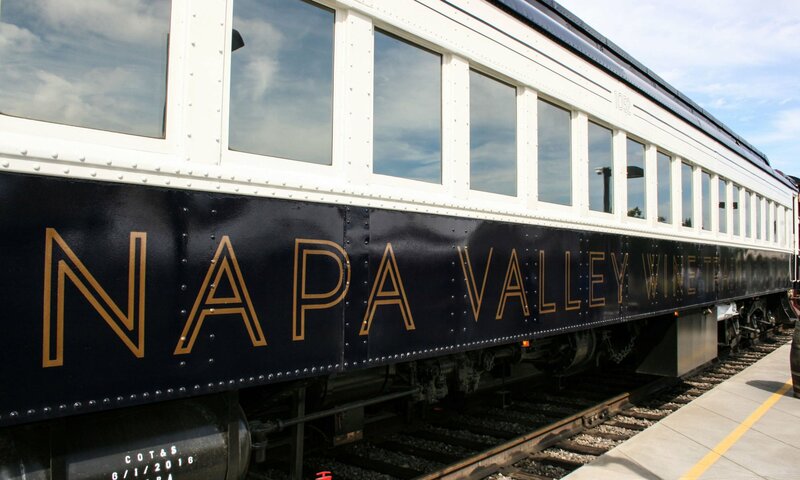 The Napa Valley Wine Train will automatically send the friend a one-time email inviting them to visit the site. The Napa Valley Wine Train stores this information for the sole purpose of sending this one-time email and tracking the success of our referral program.